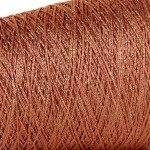 ?> 4ply metalic glitter yarn on 50g cones. 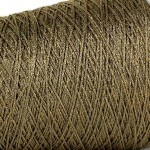 A mix of viscose and polyester (lurex) made into a chainette yarn. Many colours available. 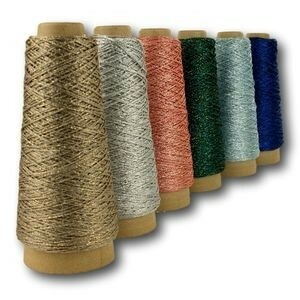 50g cones of very twinkly 4ply chainette yarn in a range of jewel shades. 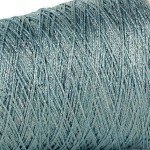 Glitter is a really versatile yarn and can be used within almost all textile crafts to add a hint of twinkle to projects. 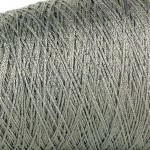 For knitters and crocheters it can be worked to most 3 or 4ply patterns whether by hand or on a standard gauge knitting machine. Glitter is made to exactly the same gauge as Goldfingering or Goldrush, so you can be confident when using Glitter as a substitute. 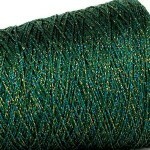 It is a great yarn for anything Christmassy! The length on these cones means you have plenty of yarn if you need a couple of rows of sparkle within a festive project, for decorating baubles, tying up gifts, cardmaking and scrapbooking. 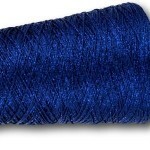 These 50g cones represent great value and allow a good length of yarn for all types of projects. Some of these shades are made exclusively for us, so you won’t find them anywhere else!